The Division of Criminal Investigation (DCI) is charged with a purely criminal investigative mission and function. 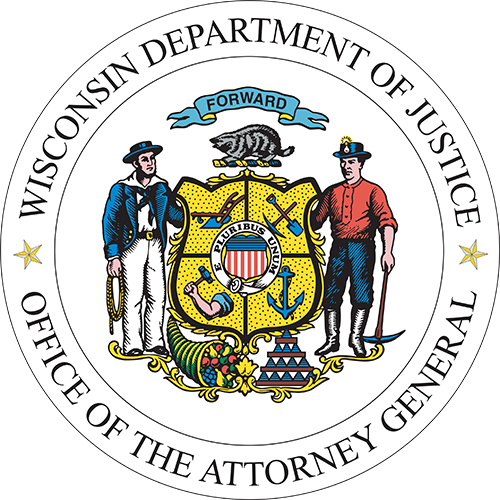 The Division employs Special Agents who are sworn law enforcement officers possessing statewide jurisdiction and charged with the responsibility of enforcing the laws of the State of Wisconsin. The DCI has a primary responsibility of investigating crimes that are statewide in nature or importance. DCI Special Agents work closely with local, county, tribal, state and federal officials to investigate and prosecute crimes involving homicide, arson, financial crimes, illegal gaming, multi-jurisdictional crimes, drug trafficking, computer crimes, homeland security, public integrity and government corruption as well as crimes against children. The Division also performs special investigations requested by the Governor or the Legislature. In addition, the Division provides extensive training to local, state and federal officers on current issues in law enforcement. Brian O’Keefe was appointed as Administrator for the Division of Criminal Investigation on May 1, 2017. Brian began his law enforcement career in 1981, as an aide in the Milwaukee Police Department. He became a sworn police officer in 1983 and later was promoted to detective, where he investigated homicides and other violent crimes, as well as property crimes. In 1994, Brian became a Lieutenant of Detectives, where he supervised narcotics, prostitution and homicide investigations. In 2001, he was promoted to Captain, where he was the commanding officer of the Milwaukee Police Department’s Homicide Division. Brian became Deputy Chief of Police in 2003, where he was the commanding officer of the Criminal Investigation Bureau, which had approximately 450 sworn and non-sworn personnel. In 2008, Brian left the Milwaukee Police Department to join M&I Bank as Vice President and Assistant Director for Corporate Security. Brian became a part of the Wisconsin Department of Justice in 2011, when he was appointed to serve as Administrator for the Division of Law Enforcement Services (DLES). Brian has served on the Law Enforcement Standards Board, and is also the co-chair of the International Association of Chiefs of Police - Civilian Law Enforcement/Military Cooperation Committee. He has a bachelor’s degree in criminal justice management and is a graduate of the 222nd Session of the FBI National Academy and the 41st Session of the FBI National Executive Institute. 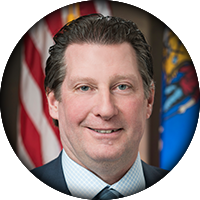 Michael Sasse was appointed as Deputy Administrator for the Division of Criminal Investigation on December 24, 2018. Michael’s law enforcement career began in 1991 with the Waupaca County Sheriff's Office, where he worked as a patrol deputy and in investigations, attaining the rank of Detective Sergeant. He became a special agent with the Wisconsin Department of Justice in 2001, where he investigated narcotics crimes with an expertise in undercover activity and worked for five years in homicide/cold case homicide investigations. Michael was the first narcotics detection K-9 handler in DCI and worked as a K-9 handler for 8 years with his partner Harry. He was promoted to Special-Agent-in-Charge in 2014 and was assigned to oversee all operations in the DCI-Appleton office which covers 22 counties in Wisconsin. In this capacity, he was responsible for supervising the narcotics, major crimes, officer-involved deaths, white collar crimes, and government corruption investigations in his regional area. Michael earned his Bachelor of Science Degrees in Criminal Justice and Political Science with a minor in Public Administration from the University of Wisconsin at Oshkosh. 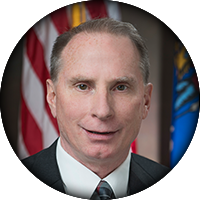 Michael provides instruction to law enforcement professionals throughout Wisconsin, including training for District Attorney's in our state.